Former Be Forward Wanderers midfield maestro Joseph Kamwendo is set to make his official debut for South African National First Division (NFD) side Tshakhuma Tsha Madzivhandila (TTM) this afternoon after acquiring his work permit and clearance. Said Kamwendo in an interview yesterday: “My papers are ready, I am excited and looking forward to featuring in tomorrow’s [today] game against Royal Eagles at home. Kamwendo could make his debut today The former Caps United (Zimbabwe), FC Norrdsjaellend (Denmark), Orlando Pirates (South Africa), TP Mazembe (DR Congo) and Club Maculmana (Mozambique) player, has signed as a free agent following the expiry of his contract with Be Forward Wanderers. And in an interview from his new base in Polokwane yesterday, the 32-year-old gifted midfielder said: “I owe it to the Almighty God. This is a blessing from the Lord. Sindimadziwa koma Mulungu yekha ndiye amadziwa. Amandikondera nthawi zonse ndipo ndizakweza dzina lake [I did not know, but only God knew my destiny. I will always praise Him because He loves me]. “My strong belief in myself that I am still good enough to compete has also helped me. I am excited and I just can’t explain how it feels. To my family, my team Wanderers and the football fraternity back home, all I can say is thank you for your support.” According to www.kickoff.com, it only took one training session for the former Nomads and Flames captain to impress the Limpopo-based side. Tshakhuma Tsha Madzivhandila official Livhuwani Madzuhe was quoted as having said that the technical team is already happy with the player. “We are preparing a one-year deal for him,” he was quoted as saying on Monday. “I look up to God Almighty to be my guide as I begin this new chapter. To its credit, this is a an ambitious and hungry squad that is playing in the NFD for the first time and they are fourth which is not bad. Kamwendo has featured in two friendly matches losing 3-2 to Black Leopards and winning 2-1 against Polokwane Reserves, scoring from his trademark free-kicks in both games. The former Caps United (Zimbabwe), Nordsjaelland (Denmark), TP Mazembe (Democratic Republic of Congo) and Club Maculmana (Mozambique) player also said the team remains strong despite the departure of some key and experienced players such as himself, Esau Kanyenda, Yamikani Chester and Precious Sambani. “Wanderers has a deep squad and the departure of some players should motivate others who were not enjoying game time to show their abilities,” he said. 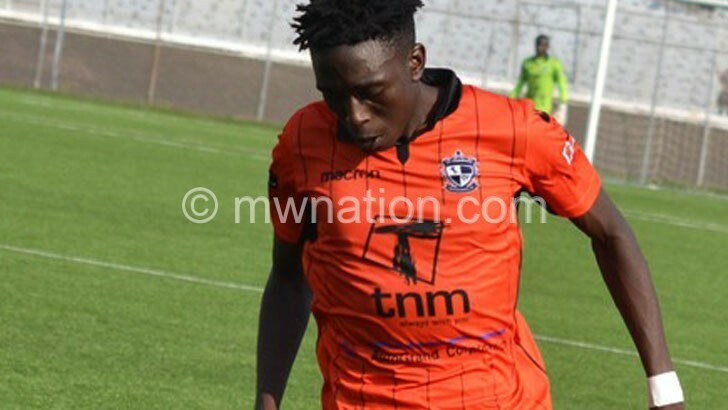 Football Association of Malawi (FAM) licensing and compliance manager Casper Jangale yesterday confirmed that Kamwendo’s international transfer certificate has been processed.